HEIGHT STOWED (TO TOP OF GUARD RAIL) APPROX. 78 5/8". LENGTH STOWED APPROX. 71 1/2". EXTENSION DECK LIFT CAPACITY 250 LBS. 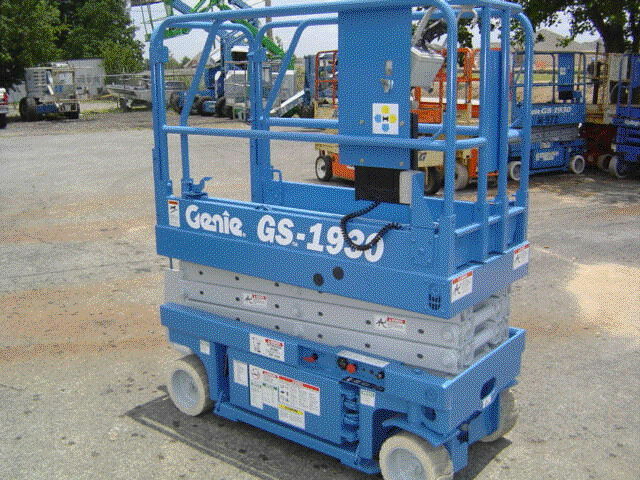 * Please call us with any questions about our scissor lift 19 foot rentals in Duluth MN and Superior WI, serving Proctor MN, Hermantown MN, Northern Minnesota and Northern Wisconsin.